But the people were silent. “These are just facts of life: People get sick. People die. “What’s really important to understand, in any case, is that it isn’t the role of kingdoms or governments to take care of these things. Truly, is it the role of kings and their representatives to go around healing the cripples? Giving sight to the blind? Or telling a bunch of poor sick people that their time for healing has come around? Do you know of any kingdom where these are the signs of a good and effective government? Such a government would require huge personal sacrifice by the healthy for the sake of the sick. The cost would be excruciatingly high. 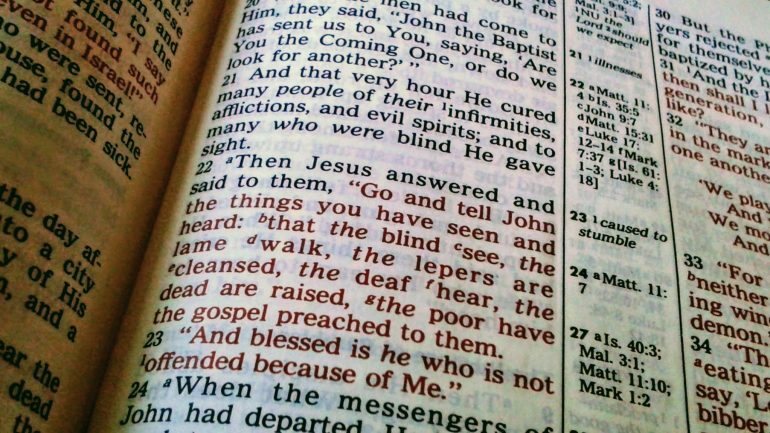 Then, turning to his own disciples, he said, “Go and do likewise.” Which many have done to this day. When John’s disciples returned and told John what they had seen, he answered, “We will have to wait for another.” And then he wept bitterly.